Dr Peter Dillon leads the CSIRO Water for a Healthy Country Flagship's Sustainable Water Systems Stream.His primary research area is water recycling of stormwater and wastewater via aquifers. This research is aimed at securing water supplies by providing scientific evidence to facilitate diversification of water sources, particularly in or near urban areas. Dr Dillon has 25 years research experience in surface water-groundwater interaction, groundwater quality protection from diffuse and point sources and agricultural water reuse. 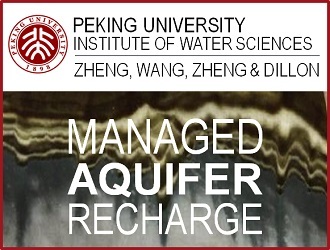 For over a decade Dr Dillon has led research on managed aquifer recharge with stormwater and reclaimed water. He was Director of the Centre for Groundwater Studies during its formative years and he coordinated the Australian Water Conservation and Reuse Research Program. Dr Dillon has undertaken research projects in all Australian states and led international research projects on management of aquifer recharge. He is the founding Chairman of the International Association of Hydrogeologists (IAH) Commission on Management of Aquifer Recharge.